As a small boy, Readis Lilcamp is rescued by the 'shipfish' when he and his uncle Alemi are caught in a sudden squall beyond Paradise River Hold. As a small boy, Readis Lilcamp is rescued by the 'shipfish' when he and his uncle Alemi are caught in a sudden squall beyond Paradise River Hold. 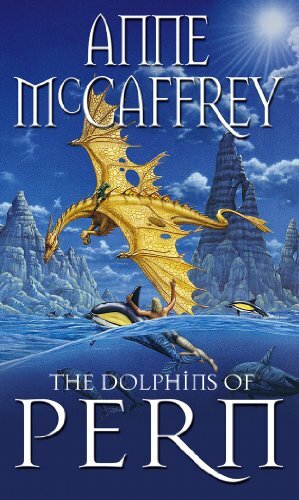 AIVAS confirms that the big fish are called dolphins, part of the original settlers of Pern. On Earth they had been partnered with men, having learned to speak intelligible words. Readis, his Uncle Alemi and bronze Gadareth's rider, T'lion of Eastern Hold, are determined to restore the 'doll fins' to their rightful place in the ecology of Pern...and the partnership of men. Meanwhile, the fight to rid Pern of the terrible nightmare of Thread is still all consuming. While Lord Jaxom, F'lar and his dragonriders struggle to implement AIVAS' instructions, other challenges are issued and answered, including one which threatens young T'lion in the shape of his older brother, a brown rider, who harbours a deep grudge. And Readis must win his parents' consent to his association with the 'sea dragons of Pern' - the bottlenose dolphins.